This french provincial side table and dresser pair were in need of a makeover. 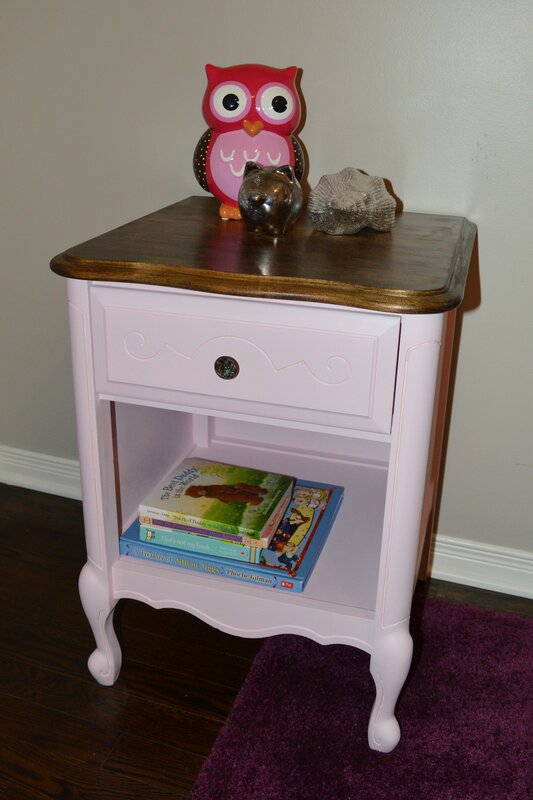 I wanted to do something fun and girly for my daughters, so decided to use Valspar chalk paint in a very light pink color. 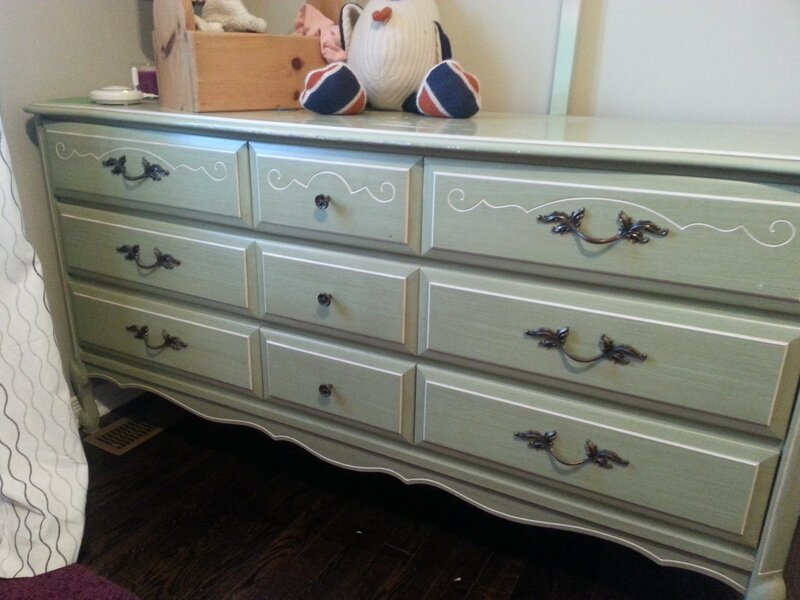 I got these dressers off kijiji for $40 for the pair, but both of them had peeling paint on the top and the color wasn’t what I wanted. 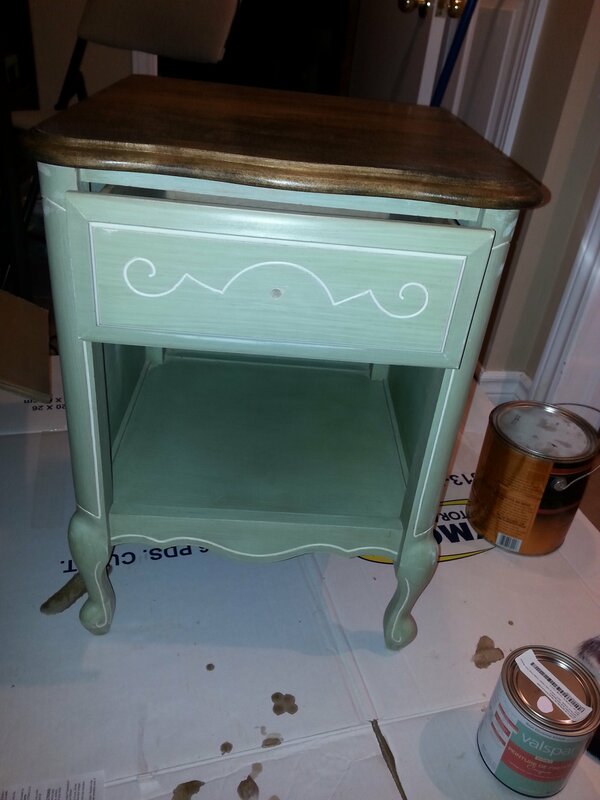 I have tried the Annie Sloan chalk paint on another dresser, but I wanted to try something different. 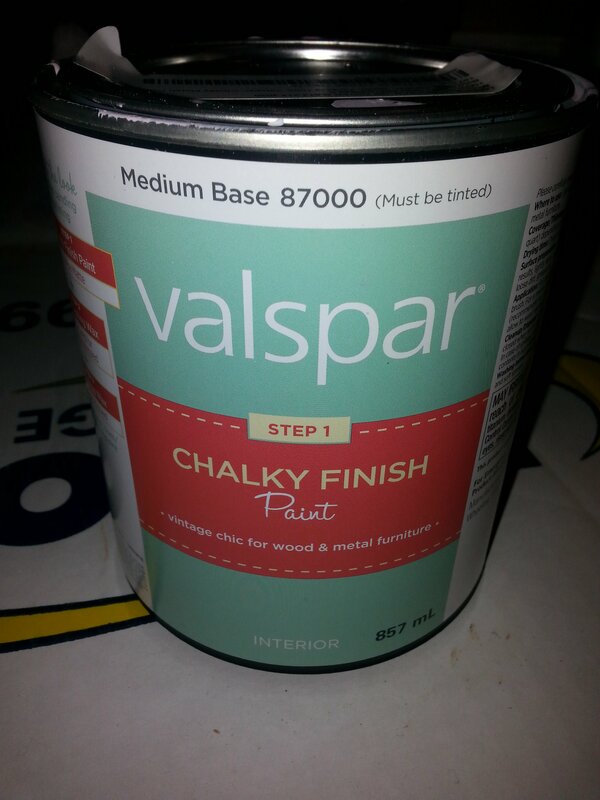 I decided on the Valspar chalky finish paint. The color I chose was Yards of Tulle, a very soft light pink. 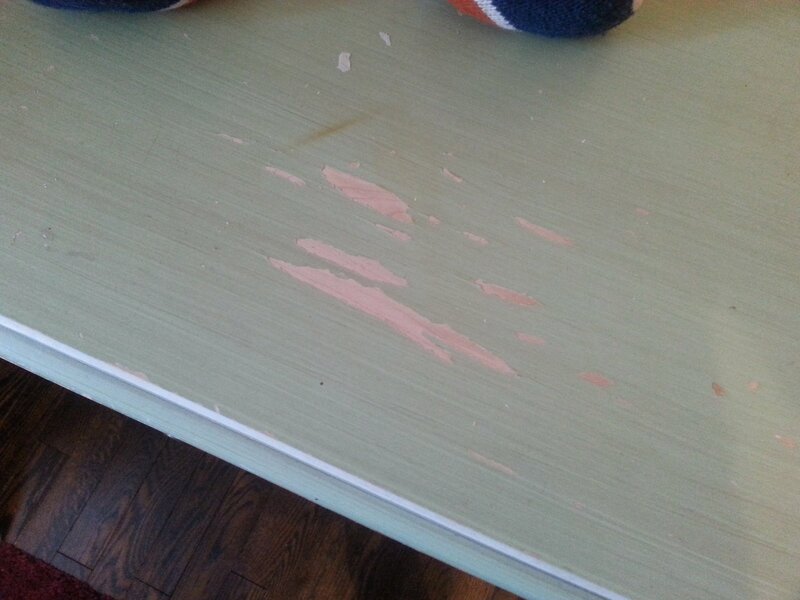 First I sanded the paint off the top of the side table using a palm sander and 80 grit paper. I stained the top using Minwax stain in Jacobean. I finished the top using three coats of polyurethane using a foam brush and sanding in between each coat with 240 grit sandpaper. Next I gave the entire table a quick sand. I did three thin coats of the Valspar chalky paint using a roller and paint brush and sanded in between each coat with 240 grit paper. I finished it off with a final sand using 400 grit sandpaper to make it super smooth. 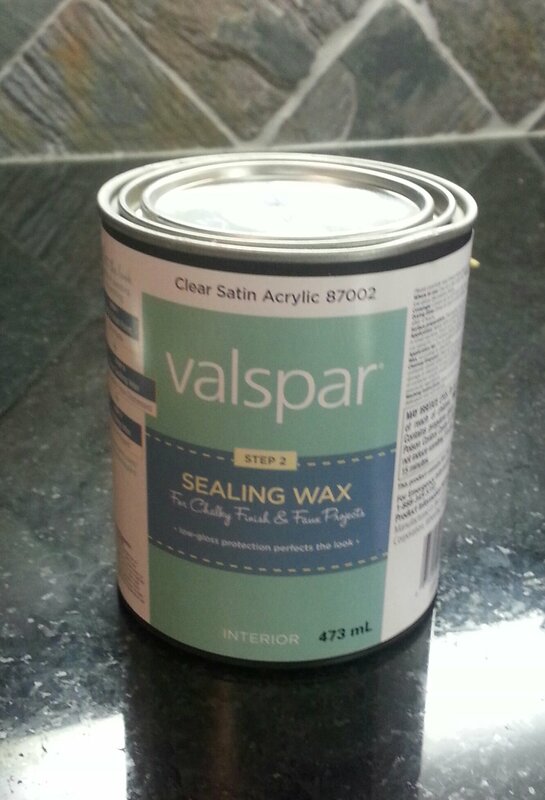 I applied the Valspar sealing wax with a paint brush and wiped off the excess with a lint free cloth. I was quite impressed with this paint. It went on very smoothly and there are no brush marks. The coverage was excellent; I think the third coat of was necessary to get complete coverage because I used thin coats. 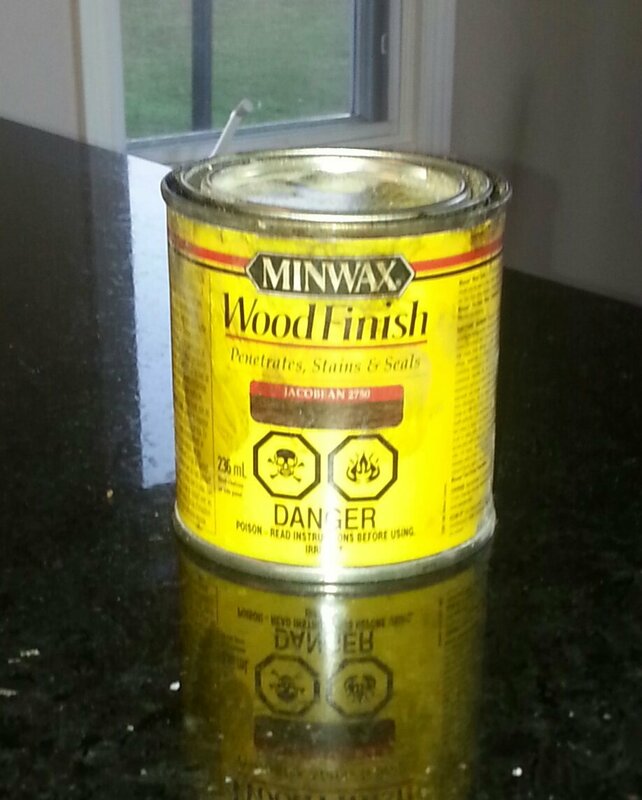 I prefer a modern finish so I didn’t distress the paint. I really like the color too and think it’s well suited for a little girl’s room. I still have to refinish the dresser, but that will be a project for a later date!